There’s an undeniable sense of freedom as you cruise down an open road and stare at the blue skies. And be you don’t have to wait in long security lines and get stuck in the middle seat of your airplane row, road trips are a perfectly reasonable and enjoyable way to travel. Are you a gas tank half-empty or half-full kind of person? Whichever direction you’re coming from, the tank shouldn’t teeter on the brink of being empty. In fact, it’s perfectly acceptable to fill it up again, even if you could still comfortably travel another 200 miles. Your plans might take you on a long stretch of highway with no means of fueling your car. Before you know it, your gas light is on and you’re far from any sign of civilization. Instead of passing by every gas station, take advantage of the roadside station and keep your car full. Unless you’re equipped with unlimited time and a non-existent budget, you’re not going to be able to see and do everything. Try as hard as you want, but some things will have to take a backseat. Create a list of “must see” people, places and things, and make those a priority. Remember, your plans might change, and leaving room for a little flexibility could allow you to take the break you’ve been waiting for. Maybe that majestic park wasn’t at the top of your list, but you can’t help but stop the car, get out and soak in the sights. This is when you’ll wish you had extra time. Leave a little spare time for those moments that will draw you away from what you thought you’ve be doing. You’ll be glad you did. Innocently placing a gas receipt beside yesterday’s coffee cup in the backseat cup holder isn’t that big of a deal, right? Watch where you’re going, or you could end up rolling down the highway in a moving garbage bin. Keep your car clean and organized. It’s that simple. When you let your orderly vehicle get cluttered, you’re going to spend more time searching for your umbrella, snacks, and other essentials. On that note, be sure your vehicle is in proper working order before you leave. 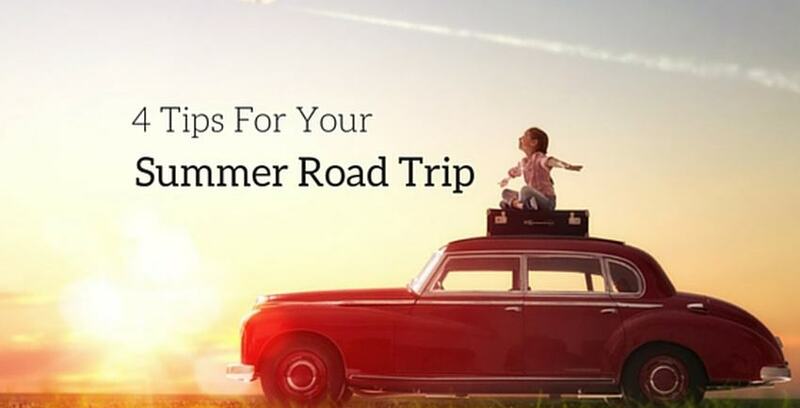 Driving through the heat with an A/C that spits out warm air won’t make your trip any better. Road trips are just as much about traveling as they are about reaching a destination. Don’t forget to appreciate the journey. Sure, it can be stressful when the rain is pouring, you missed your exit and your tired eyes just need a few hours’ rest. But when your wheels are rolling down miles of open road and the exact right song comes on, embrace it. Enjoy this time you have away from your ordinary live. Ask a local about where to eat. Act on spontaneity for a day. You’re not just making your way toward somewhere or something—this is something. If you’re in need of a place to store your things as you explore the country, Storage Direct can help. Our nationwide locations are secure, and we provide a variety of storage unit sizes and options. Contact us today to learn more!